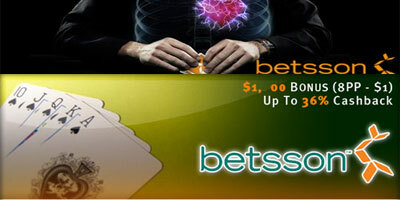 Betsson Poker is an exciting place to play poker against people all over the world. The site offers a lot of information on the game, as well as helpful guides such as their Poker School that provides all newcomers with information on the game, including rules, strategies and tips. Betsson Poker offers the following games: Texas Hold’em, Omaha, Omaha Hi/Lo, 7 Card Stud, 7 Card Stud Hi/Lo and 5-Card Draw. Betsson poker makes use of Java based software that enables gamers to play the online poker games directly from the browser without having to download the software in the user PC. However, it keeps the option of software download open to those who want to do so. If to compare the two options, the software download one has more features than the direct play Java version. The Betsson poker software is quick, clean and easy to use as well. The lobby looks good and should not cause any confusion to the gamers. The Betsson software will allow you play multiple tables (up to a max of 8 tables simultaneously) in order to be able to generate poker points faster. Texas Hold’em, 7-Card Stud, 7-Card Stud Hi/Lo, 5-Card Draw, Omaha, Omaha Hi/Lo, Chinese Poker. As any respectable online poker room, Betsson features a large number of tournaments (both STTs and MTTs) running all the time to keep their players busy. Almost all these tourneys are NL Holdem ones, only a few of them feature PL Omaha. Notable tourneys are their daily $250 freerolls, which are replaced by a $500 one on Sunday. Their $50+$4 Can daily NL Holdem tourneys are also fairly popular as they feature quite generous prize-pools. The Midnight Oil ($20+$2 NL Holdem) tournaments are another daily feature as well as the Aussie daily. Almost all of their daily schedule gets repeated throughout the week, with bigger prizes featured on weekends. One of the Betsson tournament flagships is their monthly $500,000 guaranteed “Grand Tournament” which features bigger and bigger prize-pools as more and more players reach the conclusion that it is worth investing $1,000 into it. The buy-in is pretty restrictive, so Betsson has made sure players of more modest material means can also gain access through a series of qualifiers. Make your first deposit to Betsson poker and we’ll match your deposit up to $1600. Depending on how much you deposit to your base account we offer a great bonus well suited for your play. To activate FDB555 and VIP1600 please remember that the bonus is activated by using the password when transferring money from your base account to your poker account. As long as you deposit $200 to your base account you get up to $555 bonus available. To activate the bonus you must chose FDB555 in the drop down menu while doing a transfer to poker. As long as you deposit $1000 to your base account you get the full $1600 bonus available. To activate the bonus you must chose VIP1600 in the drop down menu while doing a transfer to poker. The bonus amounts are released in full once all player points needed for the bonus is collected. Get double action in 2 different poker rooms. Play Poker in Euros or US Dollars - or both - jump between them in seconds, no cashout or separate deposits required. All players who make their first deposit to Betsson poker get two tickets to our “VIP weekly qualifiers”! The qualifiers are played twice every week and give out 10 tickets each to our VIP Weekly tournament. There is also $100 added cash in the prizepool! All you have to do to get your free tickets is to make a new deposit and the tickets will be given to you later during the same week. The VIP Weekly qualifier tournaments are scheduled on Saturdays 12:00 and Sundays 16:00. The VIP Weekly tournament is played every Monday at 20:00 CET. Sportsbook, Casino, Games, Bingo, Scratch cards. 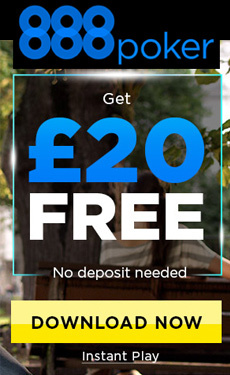 Betsson Poker: Use your bankroll for two poker rooms! "Betsson Poker review: bonuses, features and promotions"